Dreu has spent over 10 years studying how to resolve social dilemmas and complex problems using skills and tools drawn from the new rhetoric and design. He has a PhD from the University of Sydney, focusing on how to resolve wicked problems using the tools of conversation and co-design. Dreu enjoys working on inter-disciplinary projects, with his research to date focusing on how best to relate the humanities and design to business. Dreu also works as the Director for Strategic Innovation at Pivot, part of the Frost*collective. 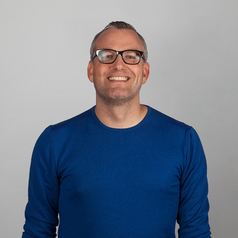 In this role he shapes strategy with senior leadership teams and engages in design research, invention, and prototyping of meaningful products and experiences. He has previously worked with a range of clients including UBS, Bank of America, CBA, Telstra, Family and Community Services NSW, and Te Papa Museum.